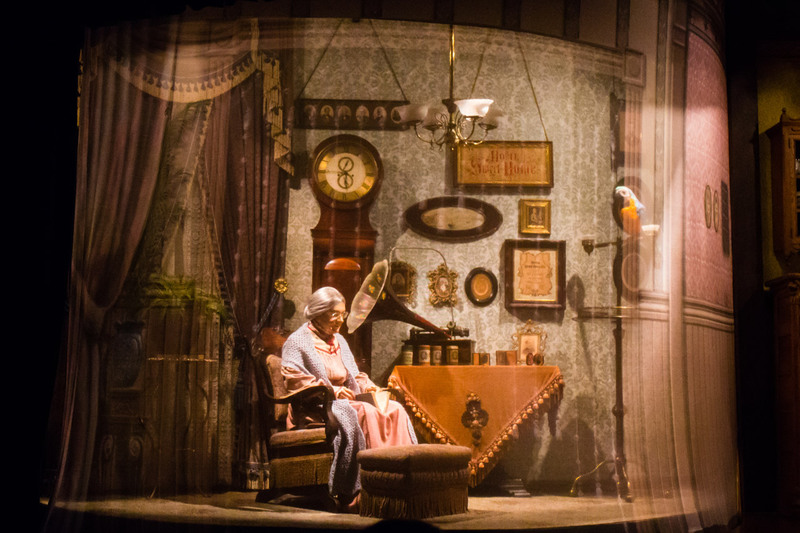 See the history of how technology interacts with our lives in this Magic Kingdom show. 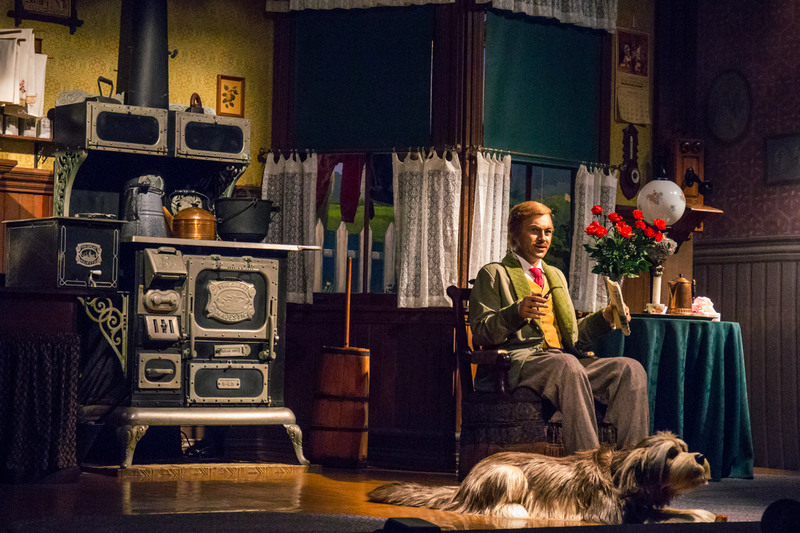 Walt Disney’s Carousel of Progress follows an animatronic family from the early 1900s to the turn of the 21st century, with a focus on the technological innovations along the way that continue to shape our lives. The audience revolves around six scenes set around holidays spanning the decades of the 20th century. With the classic tune “It’s a Great Big Beautiful Tomorrow” playing as the audience goes from scene to scene, Carousel of Progress has an uplifting, optimistic tone that is pure Disney. It’s both nostalgic for the days of yore while still looking forward to what else we can accomplish. It makes sense that this attraction is said to be Walt Disney’s favorite. While the final scene in “the future” still is in need of an update (at least they finally have a flatscreen TV! 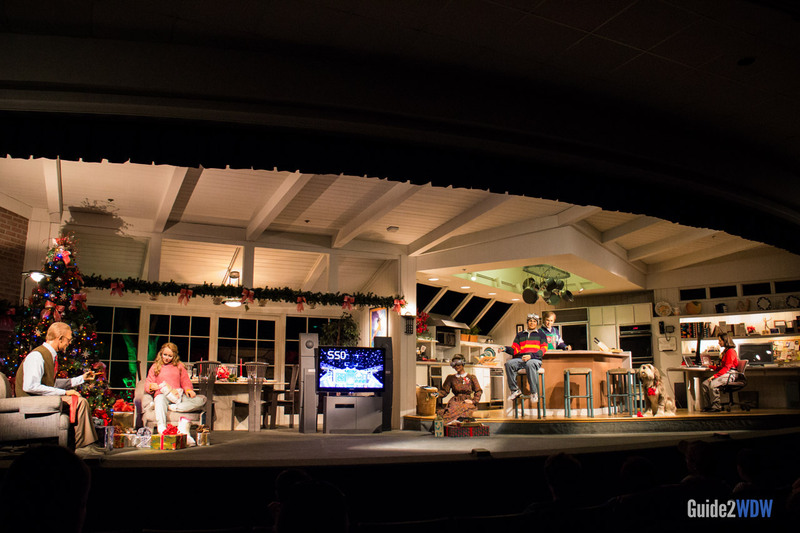 ), Carousel of Progress still can delight audiences. If you have 20 minutes to spare, give your legs a rest and take a nostalgic tour around the Carousel of Progress. Walt Disney’s Carousel of Progress is open seasonally. This show was originally in the 1964 World’s Fair in New York. The attraction was updated in 2010 to replace a CRT television with a flatscreen in the 21st Century scene. The theme song was written by the Sherman Brothers. This was rumored to be Walt Disney’s favorite attraction. The show begins with the logo bathed in light. Father greets the audience in the first scene. Grandma has some of the day’s latest technology.